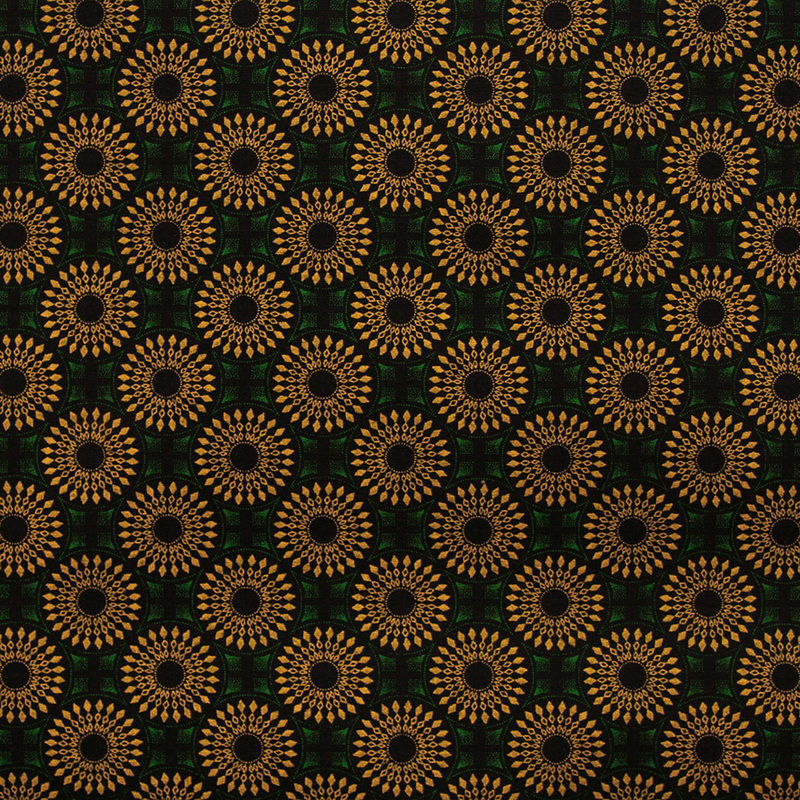 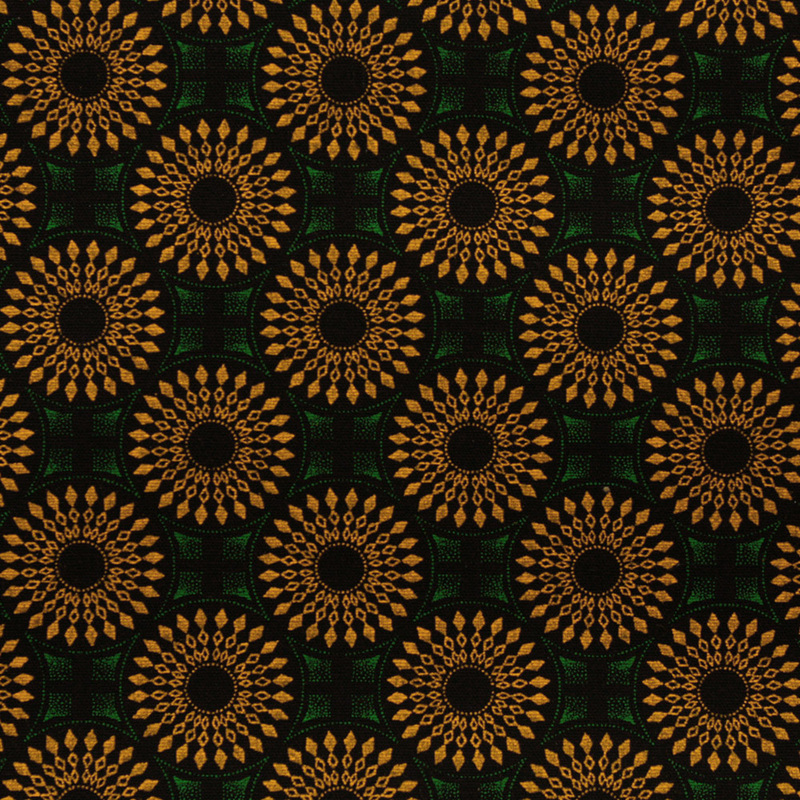 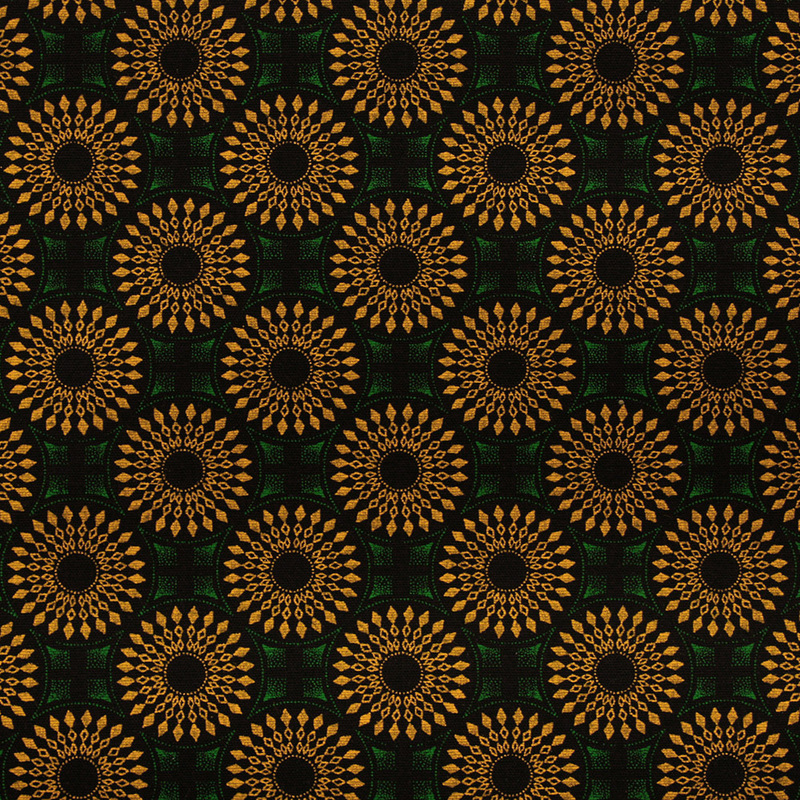 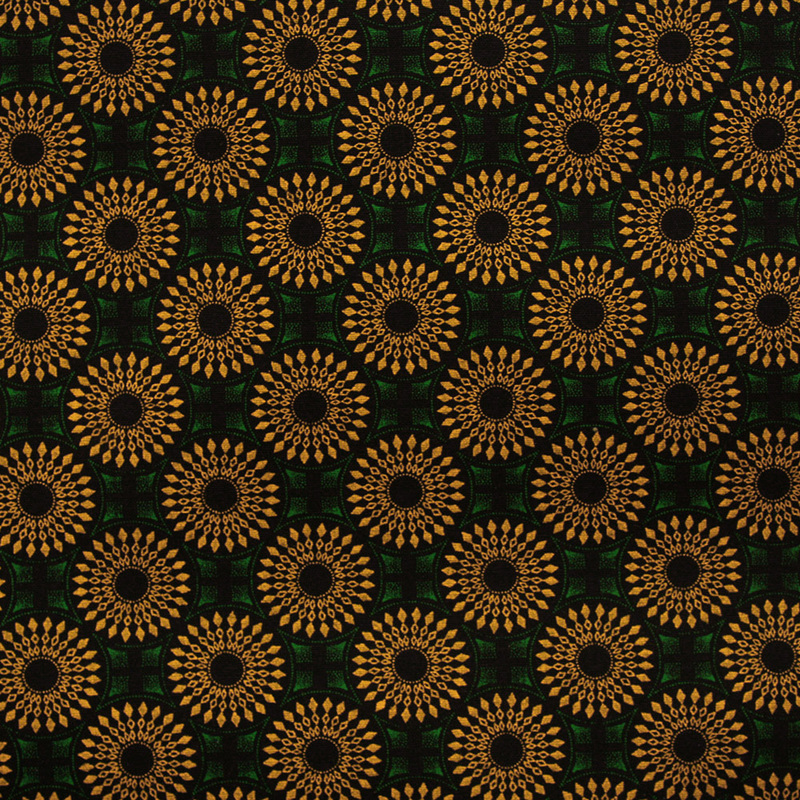 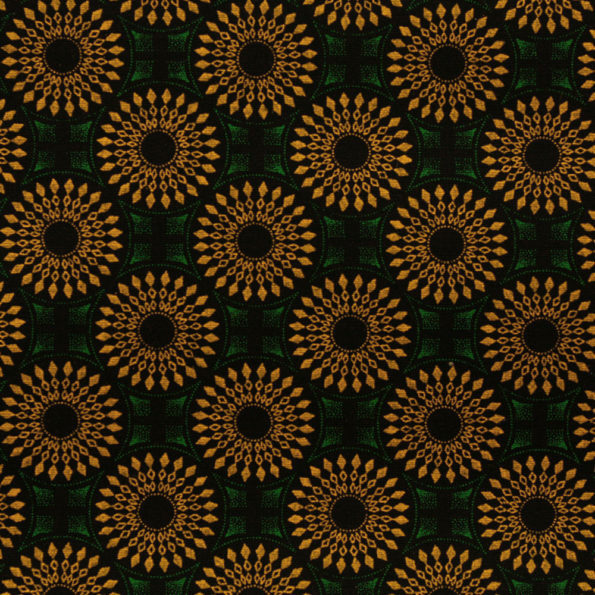 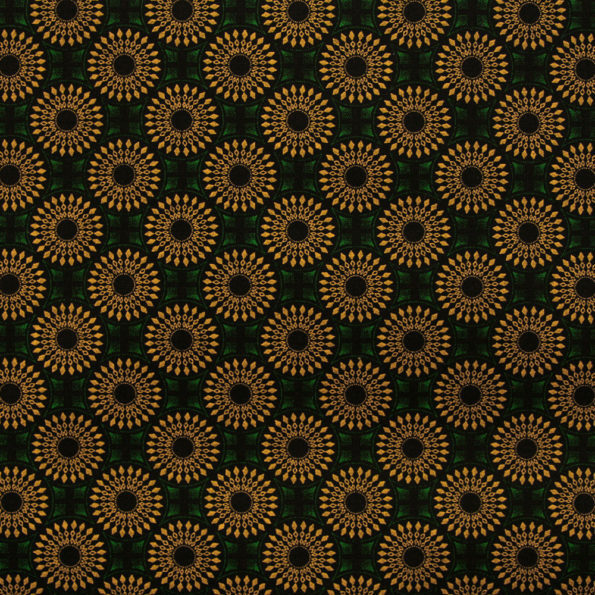 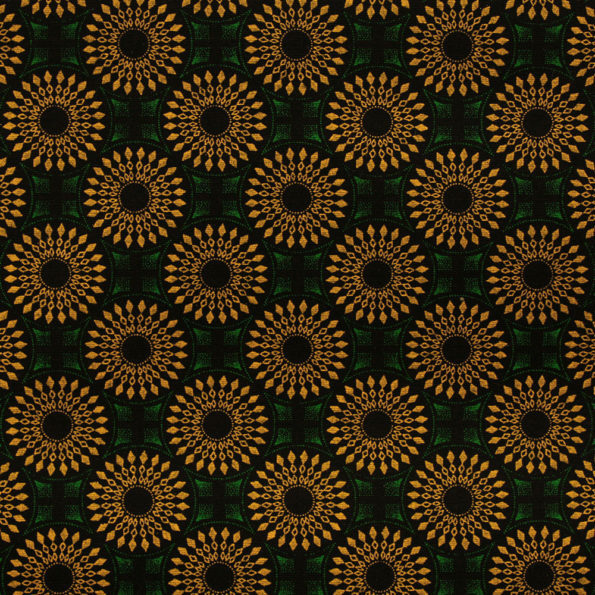 A bold green and yellow geometric shweshwe print fabric. 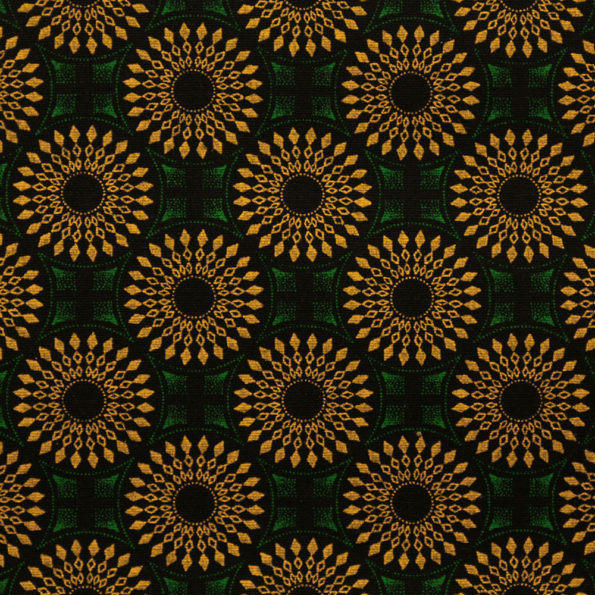 This is the original shweshwe fabric from South Africa. 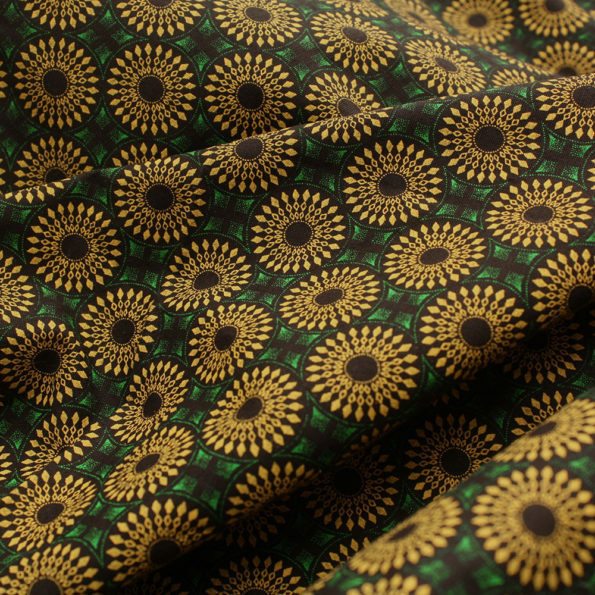 It is a medium weight cotton with a lovely drape and great for quilting as well as dressmaking. 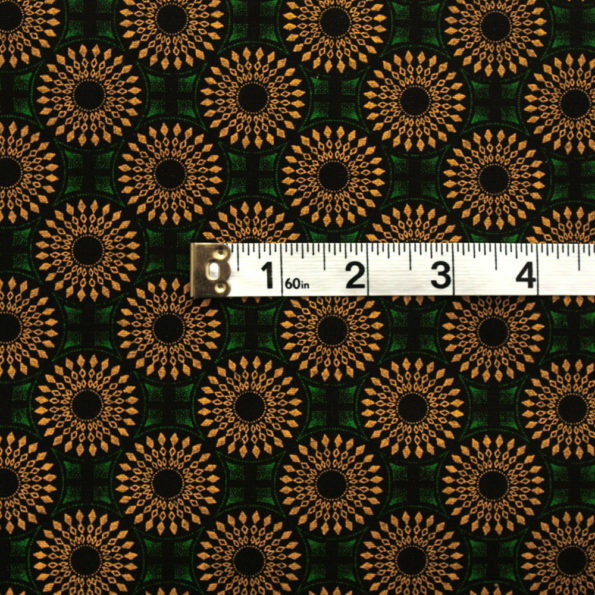 To give you an idea of the scale of the pattern, look at the last image which shows a tape rule shown in inches. Each circle is just over an inch wide.